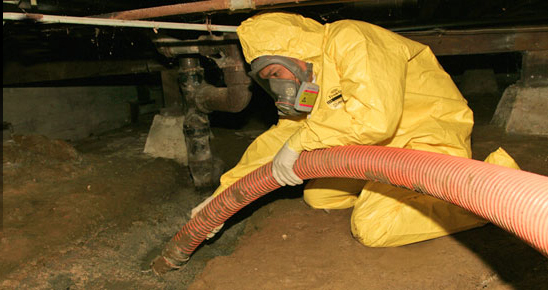 Certified 24/7 sewage cleanup Westchester company since 1978. Westchester NY » Blog » Sewage Backup » Does Your Secret Crush Make a Pretty Good Flush? We all know how the story plays out: boy likes girl, boy asks girl out, boy dates girl for an undisclosed period of time, boy asks girl to move in with him and…..girl destroys his plumbing? Whenever two people share a living space there must be mutual respect. No woman wants her man to use her makeup kit as a tool box for spare nuts and bolts, and no man wants his special lady to harm his plumbing by not utilizing correct flushing procedures. Every year thousands of sewage backup companies across the country report black water spills or damaged pipes due to unsafe objects being flushed down the toilet. Just because something belongs in the trash doesn’t mean it belongs in the toilet. Before you let your lady sit atop your porcelain throne, draw up the policies of your bathroom kingdom and make sure she knows how to engage a good flush each and every time. After you establish the “no-flush list”, she will likely want to know why unless she is the type that will just take your word for it. This is where painting a visual with useful metaphors will come in handy. In order for your woman to truly grasp the logic of flawless flushing you may want to draw up an analogy. Try this: equate your home’s plumbing to the arteries of a heart. Both the pipes and cardiac arteries pump life and circulate it in ways that are viral to maintaining a healthy system. When a person scarfs down corndogs, fries and bacon on a regular basis, plaque can buildup and cause arteries to narrow—an action that leads to cardiac arrest. Similarly, flushing oil and paint products down the toilet can cause deposits to form in the pipes creating a wall ripe for blockage. Flushing tampons and sanitary napkins down the toilet will also cause blockage that can lead to a pipe burst or toilet backflow disaster. When this happens you will need to call a water damage restoration specialist who can repair the pipes and restore the floor after removing all the deadly bacteria that came up and soaked into the carpets and hardwoods. Although there are a number of reputable water damage companies that offer affordable sewage cleanup services, warn your lady that any costs incurred in plumbing-related damages will come out of her shoe allowance. Sometimes things get flushed down the toilet by mistake. You might have had one too many beers while watching Monday Night Football and as a result your wallet gets flushed down the loo. When this happens call a professional 24/7 plumbing team to come out and safely remove the item before a serious clog can form. The last thing you want is to tell yourself you will handle the situation later, but all it takes is the girlfriend coming in to do her private business and cause a backflow because you failed to report them problem to the pros!